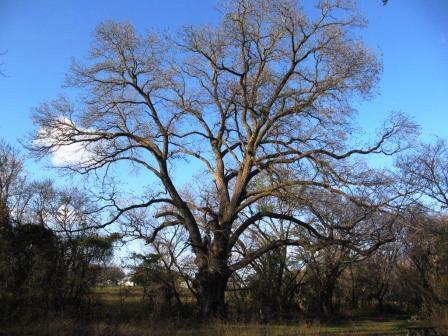 The Champion Pecan Tree in Weatherford, Texas. It is owned by the Finch family. Their farm and the tree are three miles north of the downtown square, on the right side of Highway 51. The property is a white house on the right as you start up the hill from a new bridge over a creek. Check in at the house and then walk past the barn and across a dry creek to the tree. The Finches welcome you, but please be respectful to their property and the tree. Leave your card or a note on where you're from. This tree was proclaimed the national champion some years ago, but later was supposedly surpassed by a tree in Georgia. I need to see that tree to believe it. There is a picture of the national award in my Texas Trees book. 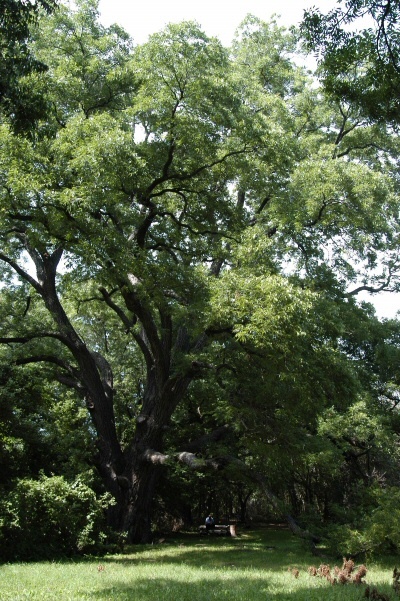 This fabulous tree has the following specs: trunk diamater 8', crown spread 159' and height 118". Photo of the tree in November 2009. 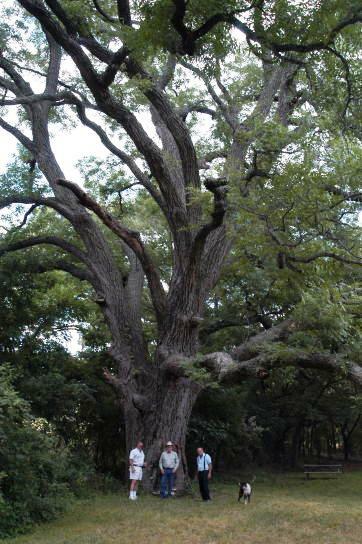 Arborist Sandy Rose, cowboy singer Don Edwards, owner Bill Finch and Chewy with the champion tree. The photos don't do the tree justice. You have to see it in person. The tree in winter flanked by the crew from Moore Tree Care. 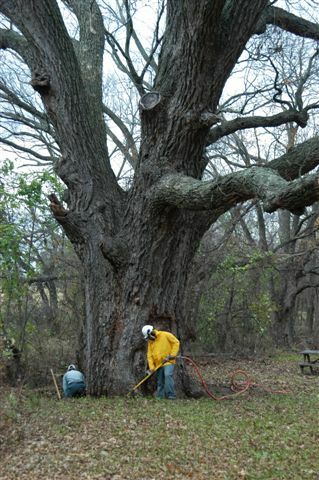 They have donated a considerable amount of work to help the tree, including airspade work to expose the huge flare. 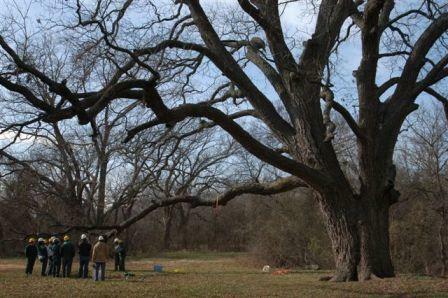 Even though Sandy Rose, Tyson Woods and I all agreed on the work, we were criticized by other arborists and the Texas Forest Service. Some people just don't get it yet. Root flare exposure work on the champion tree.